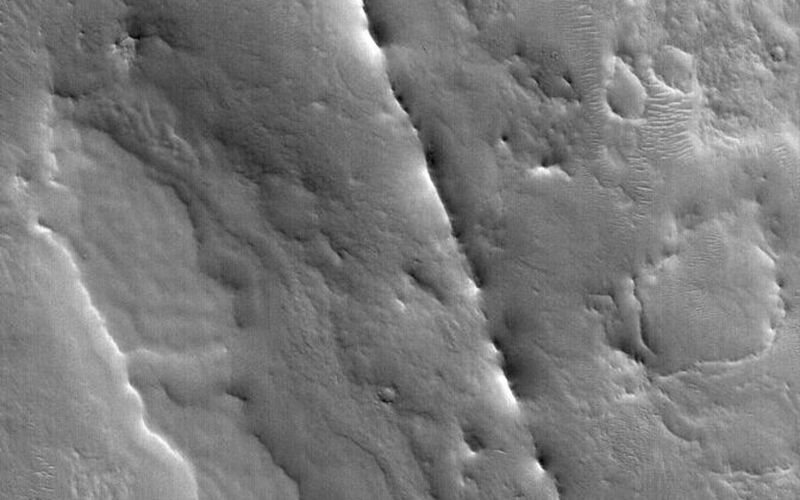 This Mars Global Surveyor (MGS) Mars Orbiter Camera (MOC) image shows a dike exhumed by erosion from beneath the cratered terrain near Auqakuh Vallis in northeastern Arabia Terra. The dike is the narrow, discontinuous ridge that cuts diagonally from the northwest (upper left) toward the southeast (lower right) across the scene. 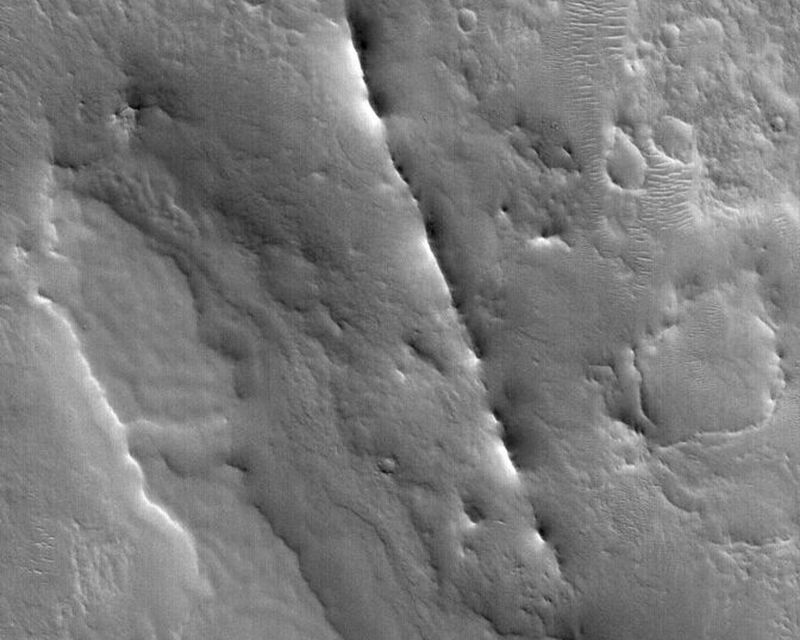 Typically, a dike is formed underground when molten rock -- magma -- is injected through a crack or fault. The magma eventually cools and hardens. A dike can also sometimes form in a non-volcanic setting by injection of wet sediment (which later hardens to rock) into an overlying sedimentary layer. The ridge is formed later, when surrounding rocks are eroded away, leaving the more erosion-resistant rock behind as a ridge. For an example on Earth, the famous Shiprock in northwestern New Mexico, U.S.A., has several dikes associated with it.